''The Nigeria Police Force has created a new hashtag in reaction to the #EndSARS movement which followed series of complaints shared online by Nigerian youths on alleged harassment, assault by the Special Anti-robbery squad, SARS. The police has called on Nigerians to support the #ReformSARS movement in a bid to become better, and serve the county better. 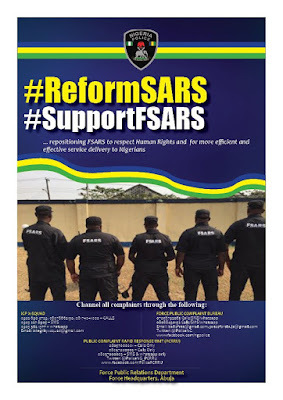 Recall, that the Inspector General of Police, (IGP) Idris Kpotun directed the immediate reorganizarion of SARS,renamed squad, and provided number for complaints. 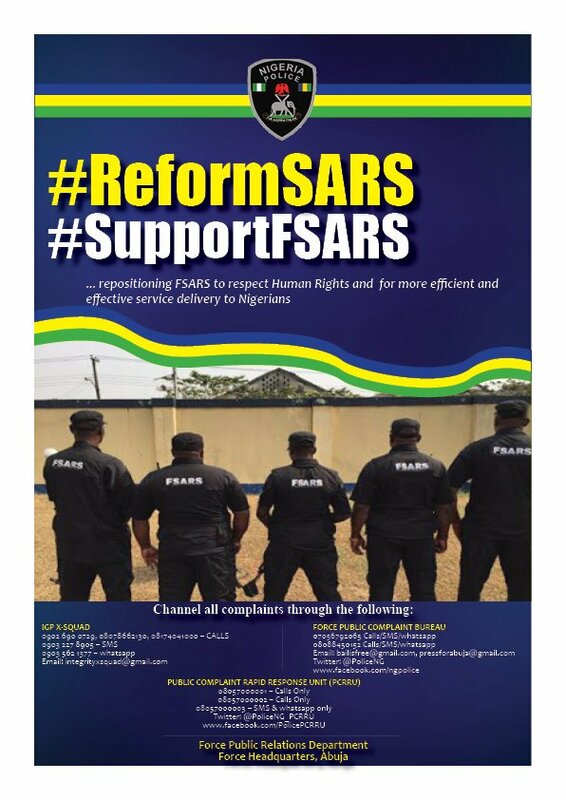 According to the force, the new #ReformSARS is to reposition the Federal SARS (FSARS ) to respect human rights and for more efficient and effective delivery to Nigerians.